My coconut island is a rich and thick body butter that absorbs quickly into the skin to leave it feeling smooth, soft and moisturised. It is white in colour and smells strongly of coconuts, which makes you think of sun, sand and sea. 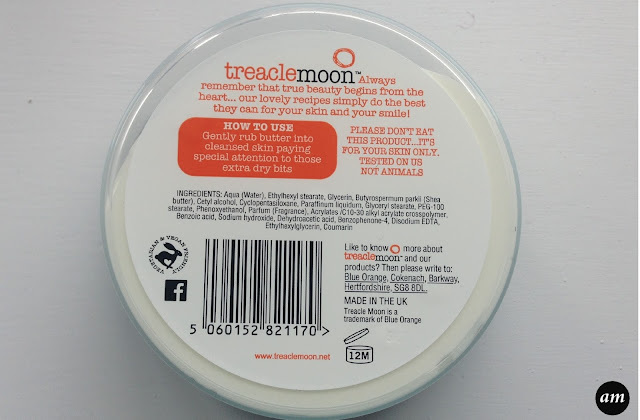 On each Treaclemoon product, there is a small, dreamy description which captures the fragrance within and takes you away from the world and into a land with rainbows, sunshine and joy! I think this is a nice touch and is very different to any other brands on the market. 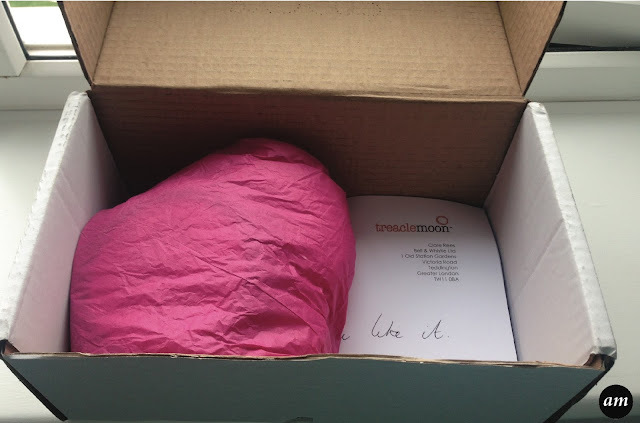 Treaclemoon is an indépendant UK brand that has recently announced its partnership with a charity called BulliesOut. BulliesOut provides help and information to schools, workplaces, communities and individual people to help support a vision where young people are able to recognise their self worth and potential, and flourish in caring environments that foster positive futures. Treaclemoon give monthly donations to the charity and have pledged to work with them this year to help raise awareness and further funds. I always love brands who help out charities and I think more should do things like this. I would defiantly recommend the My Coconut Island Body Butter as it is lovely and moisturising and a beauty product essential! It would also make a lovely gift for anyone who loves pampering themselves. I would also recommend trying out the full Coconut range, which you can view here. I will defiantly be buying it! The Body Butter costs £3.99 from Tescos, which is a bargain price for such a lovely product. Thank you to Claire from Bell & Whistle LTD for giving me the opportunity to try out this product. 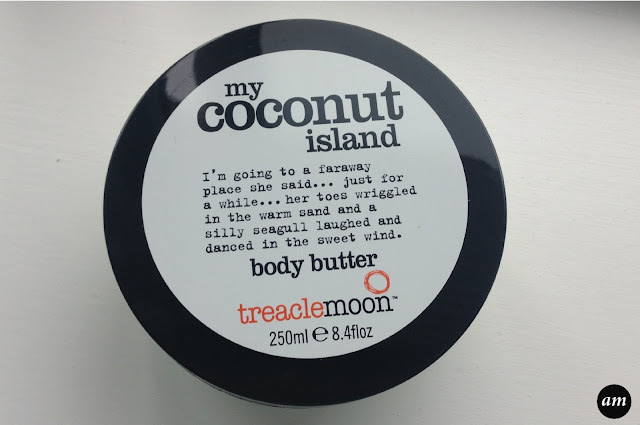 It sounds like such a lovely body butter, I love coconut scent as well! Treacle Moon products smell amazing, especially their coconut scented items. I haven't ever used this body butter but I love their coconut scented hand cream! You should defiantly try it! 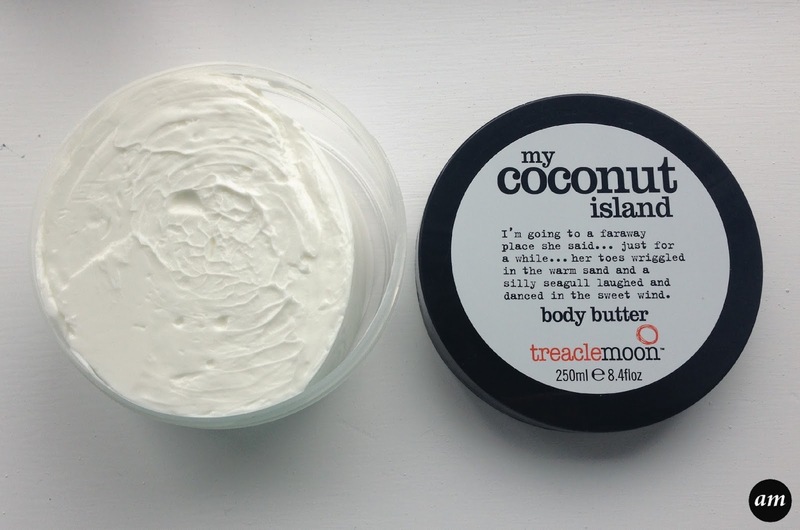 I'm obsessed with coconut so I'm sure I would love this body butter!